A nursery is an extension of the house and deserves to be treated to the grandeur of other rooms. More than that, considering that it serves as a room for your precious little angels, it deserves even more attention to details. For clarity, a nursery is a bedroom set apart in a house for a baby. It is usually fortified with all the things a child needs and given a soothing layout that allows your child to rest and grow without being exposed to harm or danger. Truth be told, there is no place like a baby nursery in the house. It requires careful thinking and ideas that will ensure the place is completely safe and secured. It must be babyproofed, which means it must be free from any dangerous or sharp object that can lead to accidents. A baby nursery is expected to be well-organized and with very little spaces since it will be more of a sleeping room till the child grows enough to use a bigger room. 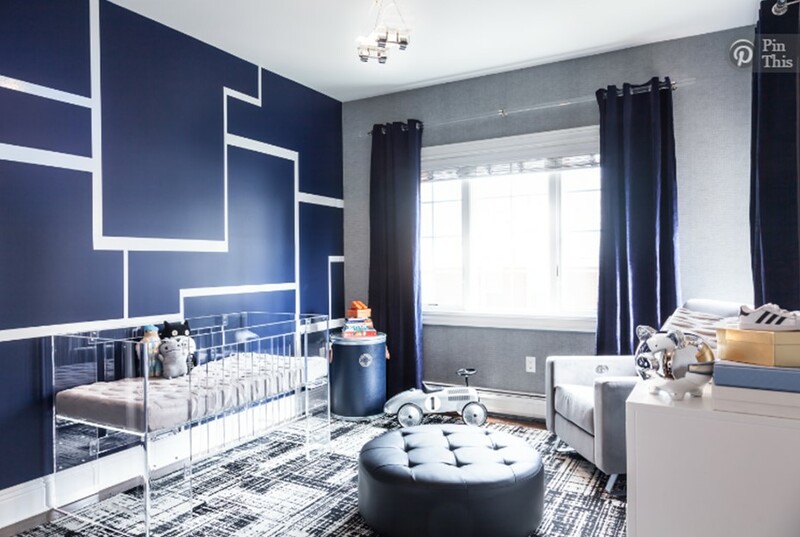 So, if you are considering creating a comfortable and safe nursery interior for your baby’s proper development, you may need to discuss the following tips with a professional designer. Avoid using a crib that is more than a couple of years old. You can never tell, worn cribs can give in and injure the baby at the least expected time.Also, you will need a storage unit or a handy box next to the crib to avoid packing the crib full of unnecessary items which can be dangerous to both the child and the lifespan of the crib itself. According to the Juvenile Products Manufacturers Association, “cribs mattresses should fit snugly with no more than two fingers width between the edges of the mattress and the cribs.” The mattress should be firm to ensure baby’s safety and prevent any accident. Colorful Wall Arts. Creative and baby friendly design is a huge plus that will benefit your kid’s development. Colorful wall arts can help you in achieving this goal, they can create a welcoming and kid-friendly atmosphere at a reasonable price. Bedding and Sheets. It is advisable to have at least two sets of bedding sheets. That way, you can easily get one out for cleaning while the other is placed. Make sure that materials are of high quality and hypoallergenic. Swing and Bouncy Chair. Baby swing is a bliss for parents. It can sooth a child in a matter of minutes. More than that, you can take wherever you want. Ensure all electric outlets are properly covered to avoid electrocution. Although this isn’t much of a concern until the child starts crawling, but it’s better to handle this from the start. Safety of your child always comes first. Baby Monitor. Baby monitor helps you monitor your child carefully. In case if you need to leave a room for a while and you need to be sure that your child is safe and sound baby monitor is a must. You will get two receivers that transmit sounds by radio waves. One is placed near the child and the other is carried by you, so whenever you hear a cry you can react immediately. To make things easy and tidy, a little changing table needs be set up in the corner of the room where you can help your baby get tidy and cleaned every now and then. Try to choose only washable materials for its surroundings. This isn’t impossible to achieve, talk to a nursery and playroom designer and watch your baby’s room come alive with amazingly creative ideas. Professional designers enlisted on YouDo will be more than willing to help. According to Vanessa Antonelli, a baby gear expert and nursery designer, you need a combination of creativity, artistry skills and boldness to use colours freely. Designing experts can transform a seemingly dull, dusty room to a classic nursery for your new baby. To be on the safe side, you can ask designers for examples of their previous works. It will help you to understand their aesthetics better and decide whether he is the one or not. With YouDo, your baby is guaranteed baby-friendly and exquisite designs at a very competitive price. You will also have the chance to choose fromvarious nursery designs and décor and decide what project is the most compatible with the rest of the house. It’s the best time to start setting up the most important room in your house. Trust this important task to professionals, use YouDo.com.